High torque and long-running motors combine with durable cables and cutters to muscle through any blockage. Designed For The Real World. Patented Two-Position Stair Climber for easy loading/unloading. Quick-Release Drums with built-in handles for quick and easy transport. Powerful AUTOFEED Mechanism to advance and retrieve cable easily. Convenient Cart Design and Narrow Profiles for superior maneuverability. 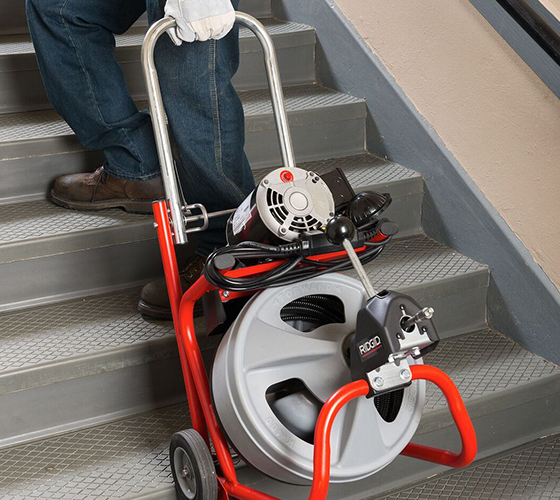 RIDGID offers exclusive features that keep the machine on the job and you making money. 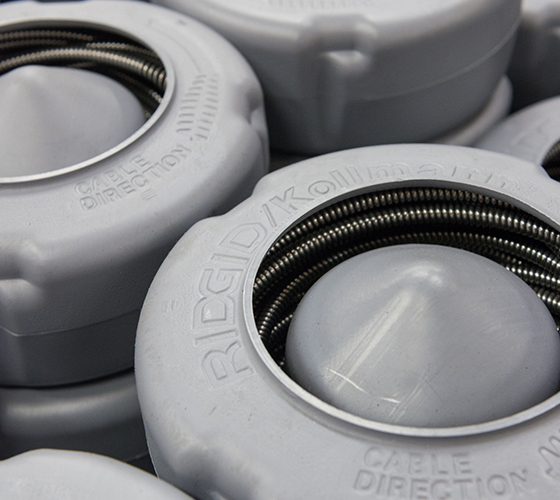 Inner Drum minimizes the potential of the cable flipping. Patented Cable Control System helps indicate to the operator when blockades are encountered. Universal Motor automatically slows cable and increases torque when met with obstructions.